Matthew Sipress - Call on Dolly! 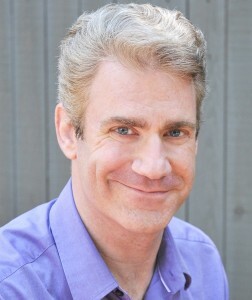 Matthew Sipress grew up in Wilmington, Delaware. It was awesome because of its close proximity to Baltimore, Philadelphia, DC, and New York City. He grew up very cultured. He started dancing when he was ten. As much of a cliché as it is, he started because his sister was dancing. He danced in local dinner theaters throughout high school. He then went on to Oklahoma City University in 1989 as a dance major. Matthew’s introduction to Hello, Dolly began because his family had a cassette tape of the show and they listened to it in the car all the time. They also listened to The Wiz and A Chorus Line, but those were on eight track. When his parents grew tired of Annie, they treated him to Hello, Dolly! Back in the day when the movie of the week started at ten PM, his parents woke him up one night to watch the film of Hello, Dolly even though it was a school night. They did that with several films, but Hello, Dolly, he specifically remembers. Matthew ALWAYS knew he desired to be a dancer, therefore, his parents wanted him to have a well rounded education in musical theater since he was expressing that interest. 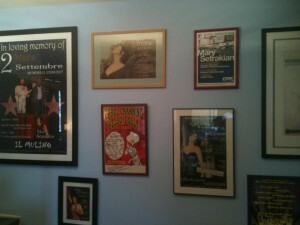 His thoughts of seeing Hello, Dolly that night was that it was gorgeous and beautiful. He didn’t have anything to compare it to. It was absolute perfection. Gene Kelly was a huge hero of Matthew’s’ and he was thrilled to see that it was directed by Kelly. After appearing in Hello, Dolly on stage and seeing what it is supposed to be, he now sees the flaws in the movie but he also sees some of the really terrific things they were able to do with the film. 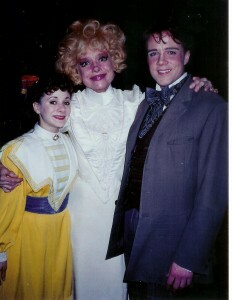 Matthew’s first experience with Hello, Dolly was with Lyric Theater of Oklahoma in summer of 1992 with Jo Anne Worley. It was directed by Connie Schaeffer and they did the full original Gower Champion choreography. He doesn’t remember who did the staging. 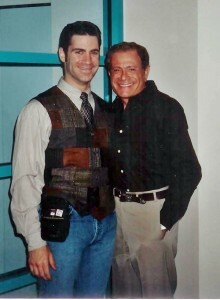 Steve Pudenz, who would go on to appear with Matthew in the 1995 Broadway revival, was Horace Vandergelder. Jo Anne was flown in and it was typical summer stock. They learned the original version with a two week rehearsal period. Matthew was the train conductor in Sunday Clothes. Matthew thought Jo Anne Worley was terrific. She would punch up the rubber chicken jokes. Matthew understands why. He understood why she did many of her Jo Anne Worley-isms. That’s what the audience came to see. She believes so. She is so unbelievably talented that she doesn’t need to. She also comes from a different time. 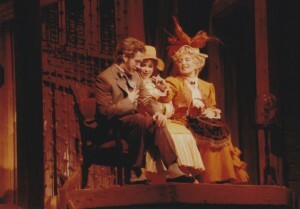 Matthew would go on to do another production with Jo Anne which we will get to soon. 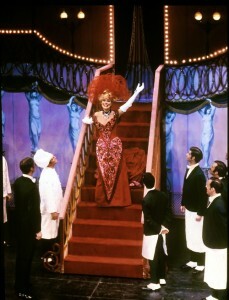 At the same time that this production was taking place, the Madeline Kahn production was taking place. 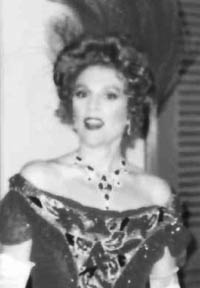 (Check out my chapter on Madeline Kahn). 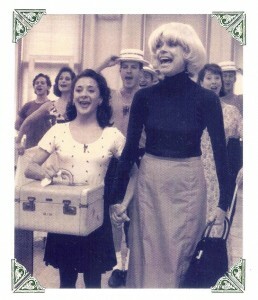 The same production team of Madeline’s company was mounting a Parisian Company to star Parisian star, Nicole Croisile. Even though the star would be different, they were basically taking THAT show to Paris. Matthew auditioned and was offered $250.00 a week salary/$400.00 per diem. He had a studio apartment which was paid for. They also flew him in. His Metrocard was also paid to get him back and forth from the theater. He ate mostly in and was able to save a little money. The exchange rate was very good then. When he first auditioned, he got cut from the audition. He saw in the paper that some of the original people who had auditioned were not going. He went back and got cast. Nicole was completely fluent in English. The rest of the cast was American. This production would be spoken in English with subtitles translated above and below the stage. It is such an American show and certain things got lost in translation. (See my chapter on Cory English). A lot of the jokes had to be explained to her by Lee Roy Reams who directed. She was terrific in the role because she is a very eclectic outgoing person anyway. When Florence Lacy went through Nicole’s put in, Nicole was sitting up in the balcony in dark glasses and her dog on her arm hanging on to everything. Matthew got along with her very well and says she was a joy and fun to go to work with. 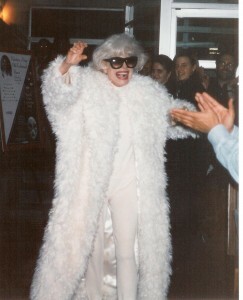 She was a big deal and audiences came out to see her. Ticket sales began to taper off, however, and the show closed three weeks earlier than scheduled. 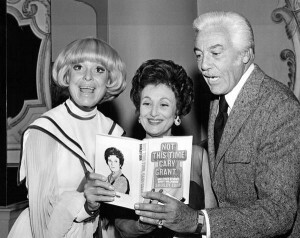 After the production, Matthew did not maintain a relationship with her. He says he was “young and stupid”. He was twenty one in Paris and didn’t know any better. From Paris, Lee Roy hired Matthew to restage the show with Bill Bateman in Houston at TUTS (Theater Under The Stars) starring Jo Anne Worley immediately after they were done. They closed in January of ’93. He flew back to New York and the next day was on a flight to Houston. There were tiny differences because Michael had learned it in Paris from Ronnie Crowfoot and there were subtle differences from what Bill remembered from previous productions he had appeared in. Bill and Matthew worked very well together to make it work. They had a two week rehearsal time and a three week run. 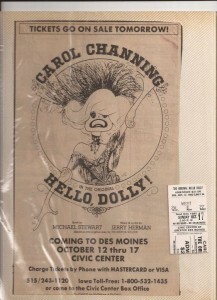 Later that year, Matthew heard through the grapevine that a thirtieth anniversary tour of Dolly starring Carol Channing might be happening with Broadway being in the cards. This was the best Christmas present ever. This would be Matthew’s first Broadway show. It could not have been a more auspicious debut, as the associate choreographer. In the program, he is listed as assistant to the choreographer. He was twenty-two and didn’t work out the details of how he was credited in the program. 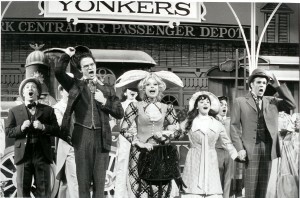 James Darrah said that he had had so many misses to Broadway prior to Dolly that he was not going to get excited until he was finishing his first glass of wine at the opening night cast party. Matthew didn’t think about it that deeply. 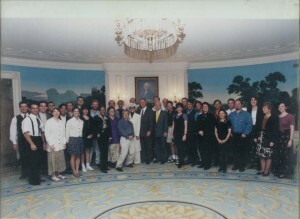 With Kevin Burrows, John Bantay, Ashley Stover Wells, Roger Preston Smith, John Salvatore, Cory English, Carol Channing, President Bill Clinton, James Darrah, Michael Quinn and Monica Wemitt at The White House. 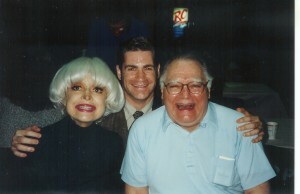 He was young and knew that he was going on a national tour with Carol Channing in Hello, Dolly! They kept saying Broadway and Matthew is sure that at the time, he believed it was going to happen. He had no reason not to. 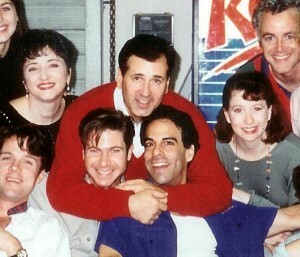 They started rehearsals in June of 1994 at 890 Studios and opened at the Denver Center for the Performing Arts in July. They rehearsed in New York and then they went to Denver where they did all of their tech work at the Buhl Center. They ran in Denver July 12th through 24th. The first couple of rehearsals, it was just Carol and the “boys”. They worked on the Gallop and the title number to get those out of the way before the rest of the cast showed up. The boys had rehearsed the number prior to her coming in to go into the number. They were doing the walk around with her on the passarelle, the duck walk exit. She was in danger of being run over. Matthew was a swing and was not always on stage. Lee Roy told Matthew that he had to tell Carol that she had to move faster. Matthew’s first thought was that he couldn’t do that! His mind quickly shifted to the role of assistant choreographer and he immediately thought of course he could. He went up to tell her that she had to move faster or she would be run over. She said OK and did as she was asked. She was a pro. She took notes like any other pro. She was seventy three at the time. 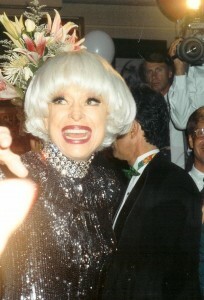 He was in a rehearsal room giving Carol Channing notes! 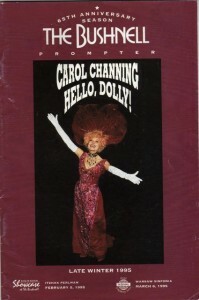 He didn’t really feel that level of amazement until that first time when you are standing at the bottom of the stairs and you look up and through the curtains and those two white gloves push through and there is Carol Channing at the top of the stairs in a red dress! It was an unbelievable moment. It was the most incredible feeling that Matthew has ever felt as an entertainer. As a swing, he went on for all sixteen of the guys at one time or another. The first performance in Denver found Matthew in the audience. His memories of that night are more from an audience perspective. It was an electric night. Everybody was waiting for this. Part of that anticipation was coming from her age. Would she be able to pull this off? From the moment the curtain went up it was one terrific moment after another culminating with the title number. The show would play twenty-six cities prior to Broadway. 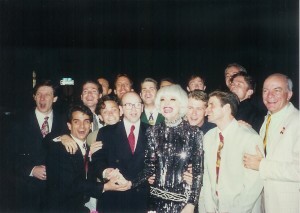 The Broadway opening night was October 19th, 1995. Broadway was a little weird for Matthew. On opening night, he was standing in the back of the theater. When they were on tour, their last stop before The Lunt-Fontaine Theater was The Kennedy Center in Washington DC. They had a month off prior to that. They went to DC for four weeks and then they went to Broadway like it was any other city on the tour. That level of “We’re going to Broadway!” truly felt like it was just another theater. They closed in DC on a Sunday like normal and opened in New York on Thursday night like normal. The show would play 118 performances. It was an open ended run and many in that company have expressed their disappointment on what they all felt was a premature closing. Matthew took another job when he heard the show was closing and was not there for closing night. He had taken the European tour of A Chorus Line and consequently was let go after one week of rehearsal. He was let go the same night that Dolly closed. Talk about karma! He was let go for reasons that had nothing to do with him. With Michele Tibbitts-Esposito at Mt. 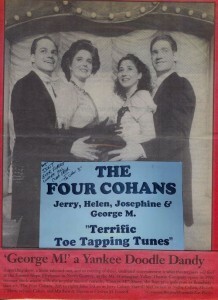 Washington Valley Theater Company, North Conway, NH. When he went to rehearse A Chorus Line in Paris, he stayed in the same hotel that he had stayed in when he did Dolly years prior. Matthew says he did between twenty five to thirty actual performances on Broadway. At that time, cast members weren’t taking vacation weeks like they did on tour. The Dolly company had really terrific stage managers. If they knew that someone was going to be out, he would get a call. This was before cell phones. If he was home, he would usually get the message there. Sometimes, he would find out when he arrived at the theater. He confesses that he was a terrible swing. As a swing, most in the cast would probably say he was fine. As a swing, you can never be one hundred percent perfect. For someone who staged the show, he has no excuse. At one performance, he went on in the middle of the show. This was in Toronto. Dan LoBuono hurt his leg on his last exit of the Gallop. It was a Sunday so all of Matthew’s clothes were already packed up. He was watching the show from the stage manager’s podium and watching the monitor in the wings. He saw Dan come off and he heard a thud and turned around. Matthew kept asking Dan if he was OK with no response. Matthew asked him if he needed to change. He was Danny in the title song! Somebody had to get out there. He was told to go change. Matthew had the last part of the Gallop and Dan’s track in the title number. He had just a few moments before Rudy announced Dolly’s arrival and Matthew’s costumes were already packed away. He basically threw his clothes off running up the stairs. Three dressers got him dressed and he was one flight up when he heard, “She’s here!” He made it! As of this writing, it has been seventeen years since that production. Looking back, Matthew says he would be a better swing now. He also doesn’t feel that he has the brain for what it takes to be a great swing. Some are, some are not good at it. He doesn’t think he is and he’s ok with that. 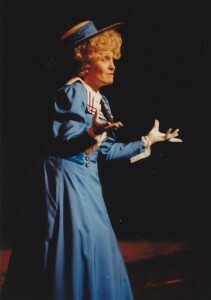 The character that he most identifies in Dolly would be neither Barnaby nor Cornelius. He had a great upbringing and got to experience and see a lot of what life has to offer. He identifies with Dolly. She has a well-rounded life. He doesn’t feel that he takes life by the horns to the extent that she does. Every character in that show learns how to live. She is the only one who starts out knowing that. They had fun on tour. For a couple of years after the tour, they exchanged Christmas Cards. Regret is that he let that friendship go. If she was to run into him on the street today, he doesn’t feel that she would know who he is by this point. They were close and he was her secret Santa their Christmas in New York. She was so generous with her time in that when they did their tour during the midst of the AIDS crisis, there were many benefits and fundraisers. She showed up at ALL of them. They were raising money for Broadway Cares. Thanks to John Bantay who was in the ensemble and produced Broadway Bares types of shows in every stop of their tour, the dancers were stripping all over the country and raising money for BC/EFA. Carol would show up and give a “diamond award” to the head of whatever AIDS organization that they were splitting the door charge with in every city after the show in whatever dance club they were at. These usually took place on a Friday or Saturday night. It was EVERYTIME, not sometime, not occasionally in every single city every time they did the show. Fifty percent of the time, she even stayed to watch the show! Matthew brought an open eyed freshness to Dolly. Yes, he was restaging what he had been taught and knew but he wasn’t restaging something he learned way back in 1978. He wasn’t just trying to pull the steps out. He brought a nice energy to the show. Contrary to what some people may think about that production, the chorus was not as old as has been reported in some sources. Matthew brought a level of youth and energy to the show so that Carol was able to match that energy. She HAD that energy even at seventy-four years old. 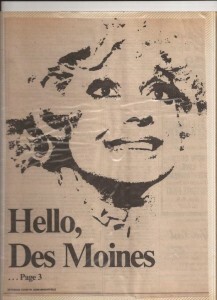 She was not working with a group of people who had been doing the show since 1964. In every city that they toured in, Carol talked about their international tour. “You dear, dear people of (city, state), and environs. Now isn’t it all really something, all of us being here together in (city, state). same people. You just smell the same! The same waves of friendship and warmth are coming up here as did before, and you’re exactly like I told the company you were going to be. Only more so. Now I did want to thank you dear people for making an honest woman of me. You see, I always promised that if I ever headed another production of “Hello, Dolly!”, that we would play it right here in (city, state). Didn’t we? Yes we did! And now, thanks to our producers: Manny Kladitis and Pace Theatrical Group … incorporated … and Magic Promotions … limited … and a” that crowd. Thanks to them, here we are! 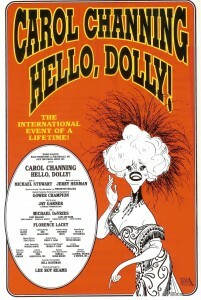 And you know they said to us, they said, “Now this is your grand, world, international tour of “Hello, Dolly!”. — with Monica Wemitt and Michael Halden. And we wanted to be a part of it! And too, I must tell you that we have played 46 major American cities on this tour, and next we go to Broadway. Oh, do come, yes! Then we go to China and Japan and Australia and Holland now and Siam and London, England–and all those watering places! 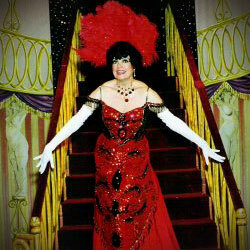 As we say, join “Hello, Dolly!” and see the world! Oh, you dear people, you just stand there and listen to me! well. When they were in Los Angeles, Jerry threw a party for the entire company at his home in Bell-Air. He was so generous and he had a great energy about him and was kind to everybody. As of this writing, Matthew Sipress now works for Lyric Theater of Oklahoma and he loves his job. He has been the company manager for a couple of years and was recently promoted to Associate Production Manager. In 2006, he decided to go back to school at Oklahoma City University since he was now in good standing with them. The Ann Lacy School of American Dance and Arts Management now has an entertainment business program which was a couple of years old when Matthew went into it. At the time, he wasn’t enjoying in New York anymore because he was only paying rent in New York. He wasn’t actually LIVING in New York. He had no money to do anything BUT pay rent. In December 2009, Matthew got a Bachelor of Science in Entertainment Business. He still gets to perform. He has done one show for them every year since 2008. 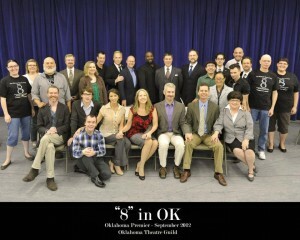 Oklahoma premiere of Dustin Lance Black's 8 . Photo taken by Wendy Mutz — with Stephen Hilton, Brian Hamilton, Lane Fields and 19 others. He is playing roles he didn’t think he was old enough to play EVER like Bert Barry in 42nd Street. Hello, Dolly is on Matthew’s personal calendar again. He will be direction a production at the Sooner Theater in Norman, Oklahoma in April 2013. The artistic director of that theater, Jennifer Baker, was approached by her board of directors. It is their tenth anniversary in 2013 and they want her to play Dolly. She told Matthew and he said, “Great! When do we start rehearsals?” That’s how he got the job. When he was asked how he wanted to be credited, he said directed and re-staging by Matthew Sipress. Gower’s choreography is so brilliant; he is not changing a thing. He might adjust something here and there when necessary. It is Gower’s design and ideas that Matthew wishes to preserve. One thing that is a cherished memory for Matthew from his Dolly days with Carol was the amount of celebrities he met in high profile cities. 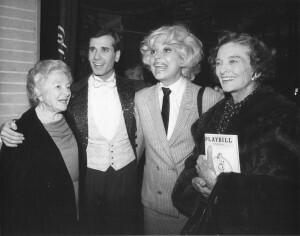 They ALL came out to see Carol Channing one last time as Dolly Levi. When they were in Pasadena/LA, there was a long line of celebrities waiting outside her dressing room waiting to see her after the show. He remembers one night with Shelly Long and her kids. Matthew remembers her bending over to clean her child’s face before going in to see Carol. 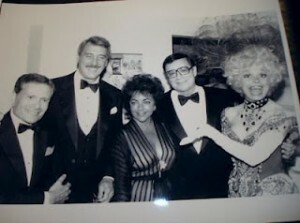 He remembers Betty White and Tony Curtis coming by everyone’s table when Carol took the company to lunch as Spago. There was such reverence for her and what the show meant to so many people. 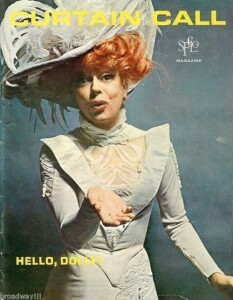 The very base of what Hello, Dolly means to Matthew Sipress is that THIS was his Broadway debut AND it was with Carol Channing! There aren’t many in this business who can say that. He has friends his age who have plugging their entire lives to get to Broadway and that, unfortunately hasn’t happened for them. 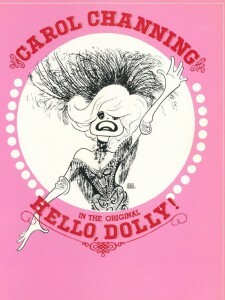 He got to be on Broadway in Hello, Dolly with Carol Channing, for goodness sake! He considers himself truly blessed. It is such a highpoint, not just in his career, but also in his life. The dates below are the dates they were IN the cities, not necessarily the dates they PLAYED each city.